Wenzhou Gaochuanggu Environment Technology Co., Ltd.
used as blender tank, buffer tank and storage tank, which cleanable to sanitary standards . Characters: food grade, easy to install, beautiful design, easy to operate, high efficiency. a. Customers favorable comments based on our high-quality products, professional and efficient services. The tank can heat and cool materials according to customer requirement. Liquid level meter and level controller (According to customer requirements ). 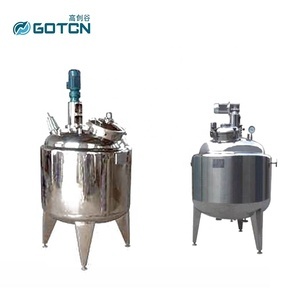 Agitator for the mixing requirement It can be made according to special requirements of customers . 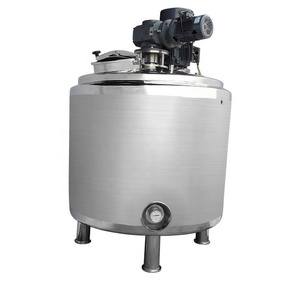 Alibaba.com offers 13,282 steam mixing tank products. About 78% of these are mixing equipment, 2% are other food processing machinery. A wide variety of steam mixing tank options are available to you, such as agitator, homogenizer, and static mixers. You can also choose from viscous fluid, liquid, and liquid with suspended solids. As well as from milling, coating, and drying. And whether steam mixing tank is paid samples, or free samples. There are 13,284 steam mixing tank suppliers, mainly located in Asia. The top supplying countries are China (Mainland), Germany, and India, which supply 99%, 1%, and 1% of steam mixing tank respectively. 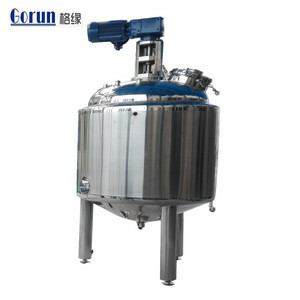 Steam mixing tank products are most popular in North America, Domestic Market, and Southeast Asia. You can ensure product safety by selecting from certified suppliers, including 3,147 with ISO9001, 329 with Other, and 243 with OHSAS18001 certification.